Join us this September 2018 at the luxurious, boutique Aguas de Ibiza Lifestyle & Spa hotel for an incredible 5 day weightloss, detox and wellness retreat. Located on Santa Eulalia's peaceful promenade and amongst natural surroundings, our 5 star health retreat offers you the perfect combination of exercise and detoxification in a beautiful environment. Join us this in Ibiza for our most luxurious retreat yet! We'd love to help you on your journey to better health and fitness. 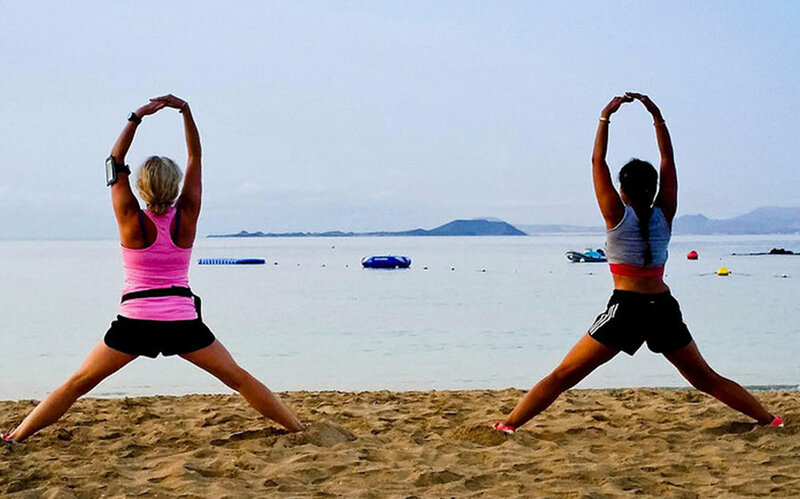 Whether you are looking to lose weight or kickstart a new fitness/health regime, our retreats are a fab way to lose weight, meet new people, have fun and get results. From nutritionally balanced meals to varied exercise programmes, you will leave buzzing from your new found energy and reduced waistline – and we'll be there encouraging you every step of the way. With 3-4 hours of exercise daily (adapted for all levels) and a healthy, organic, natural diet, we will help restore your health and overall wellbeing. The afternoons will be your own to relax as you wish. Our Ibiza retreat hotel has three outdoor pools and landscaped gardens to choose from, so you'll be spoilt for choice! There is also the Revival spa – a sanctuary of relaxation and wellbeing. We pride ourselves on the small size of our retreats (maximum 10 people) and our friendly, approachable manner – ensuring each of you receives a personalised service and is made to feel special. Stay in beautiful shared rooms. There is a single supplement available if you would prefer not to share. Take advantage of our special introductory offer. There are limited places available so please get in touch to reserve your space and avoid disappointment. Prices based on minimum of 4. Please let us know which retreat you are interested in? A small case is recommended as you will only really need your training clothes, swimwear and casual clothes for afternoons/evenings. The only money required will be for your own personal requirements – if you wish to go off site for a wander (not to a restaurant or bar though!) or have spa treatments etc. We can cater for most dietary requirements. Please inform us if you have any food allergies. Our diet is pure, organic and fresh. However, portion size is controlled. If you drink coffee, we suggest you start to reduce your intake a week or so before the retreat, as the detox process requires no toxins, and some people may experience caffeine withdrawal effects. If you have any questions we haven't covered, please have a read of the FAQs page, or just drop us a line and we will be happy to answer any queries you might have. Beautiful shared twin rooms (a single room supplement available). On site chef creating healthy, organic and nutritious main meals and superfood drinks/snacks to sustain you throughout your fitness journey. Full use of luxury spa (treatments additional). Varied training programme (no boring workouts here! ).